Nothing says industry than trains. And nothing looks scarier at night than industrial areas. The rusty metal, the chains that sway in the wind. 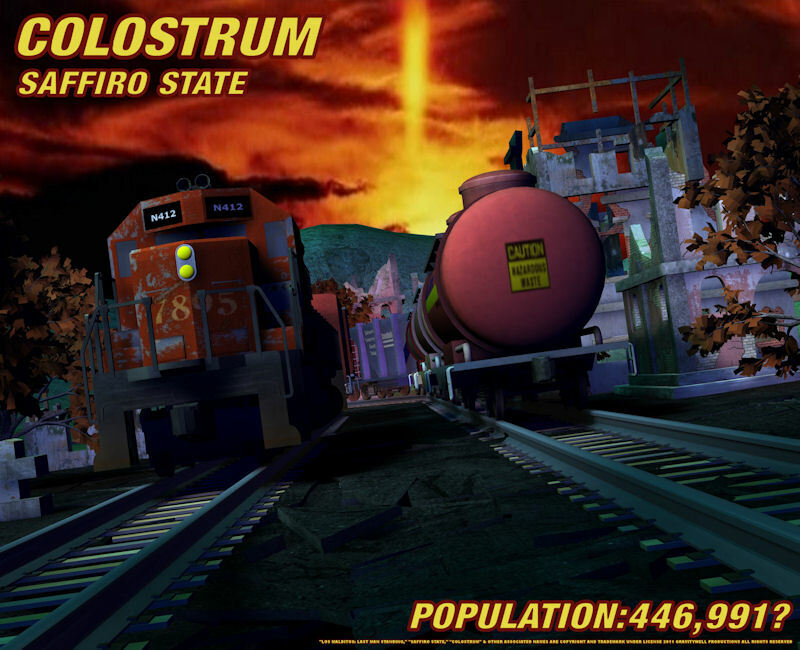 Sun sets over the city of Colostrum, perhaps for the last time... for the living. Features trains originally created by John Hoagland of Vanishing Point.